Phaistos Close-Up, 2011, mixed media, 152 x 122 cm. Untitled, 2008, mixed media, 150 x 190 cm. Series ‘Sistema Circulatorio s/t sc 7’, 1996, mixed media on paper, 76 x 57 cm. 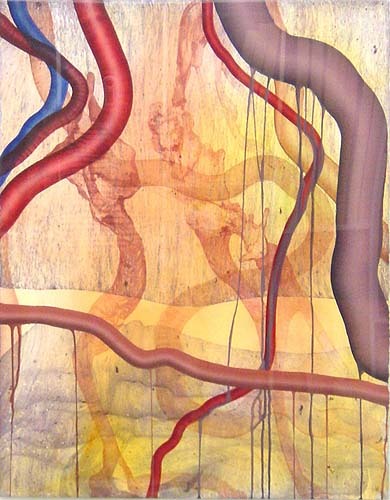 Series ‘Sistema Circulatorio s/t sc 14’, 1996, mixed media on paper, 76 x 57 cm. 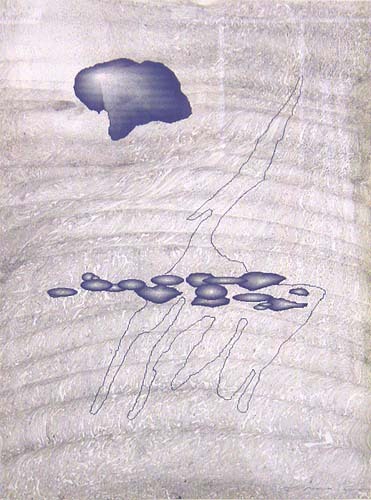 Series ‘Microworlds s/t sc 2’, 1996, mixed media on paper, 30 x 21,5 cm. 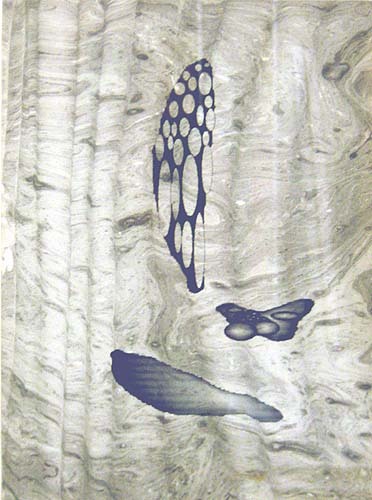 Series ‘Microworlds s/t sc 10’, 1996, mixed media on paper, 30 x 21,5 cm. Untitled, 1994, mixed media on wood, 30 x 30 cm. 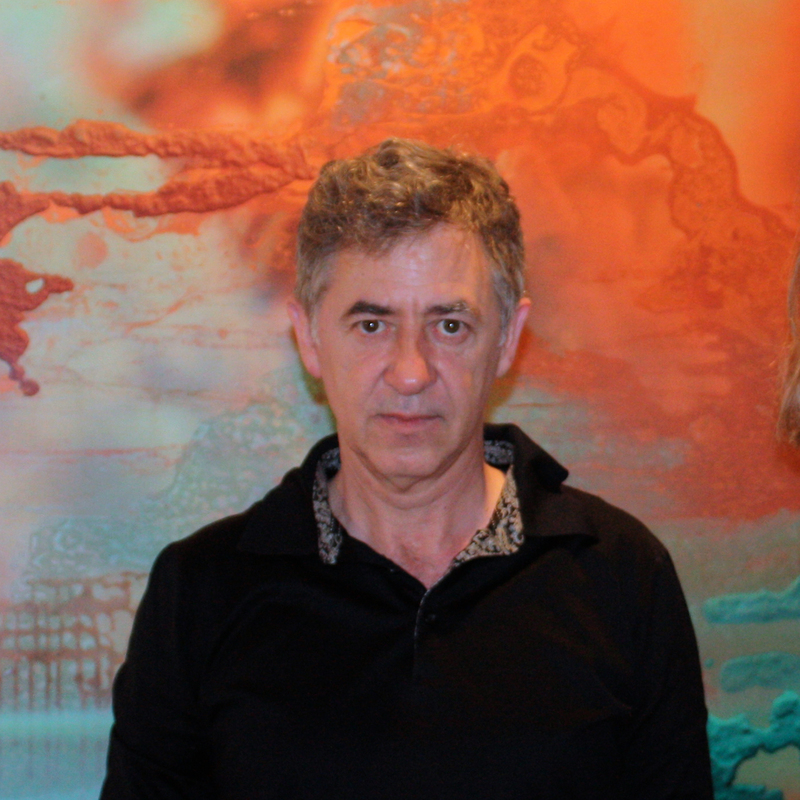 Was born in Bilbao in 1958 and has experimented since the beginning of his career with the possibilities afforded by digital media, such as video, impressions, software and photography, applying paint to the digital images and working the results with resins, which bring about an aesthetically and conceptually strong work, the main emphasis being on the hybridization of processes and concepts, techniques and procedures. Urzay captures with his camera the exact moment in which an image renders us speechless, showing through the paint on the photograph and the photograph itself that moment of silence, marked by the capture of that fleeting image. In Darío Urzay’s work photography has never ousted painting, on the contrary, both procedures meet in a happy conciliation, as is also discerned in his engravings. Espacio Caja de Burgos, Burgos. Galerie In Situ, Aalst. Belgium. “Blanc de Blanc” , Galerie Xippas, Paris. The Manege Exhibition Centre, Moscow. “Pintura sin límite / Unlimited painting”. Galería DV, San Sebastián. “About painting / De la pintura”. Galería Vanguardia, Bilbao. Cultural de la Villa, Madrid. Brussels, Belgium. “The Shared Glance/La mirada compartida”. Ayuntamiento de Pamplona. “Generation/Generación”. Galería Moisés Pérez de Albéniz, Pamplona. Colección Argentaria. Museo Municipal de Málaga. Norway. Palacio de Pedralbes, Barcelona. “Surfacing , Contemporary Drawing “, ICA, London. “Painting, Language”, Louver Gallery, Los Angeles. “From here to eternity” Max Protech Gallery, New York. “Itinerarios 97-98”. Fundación Botín .Santander. 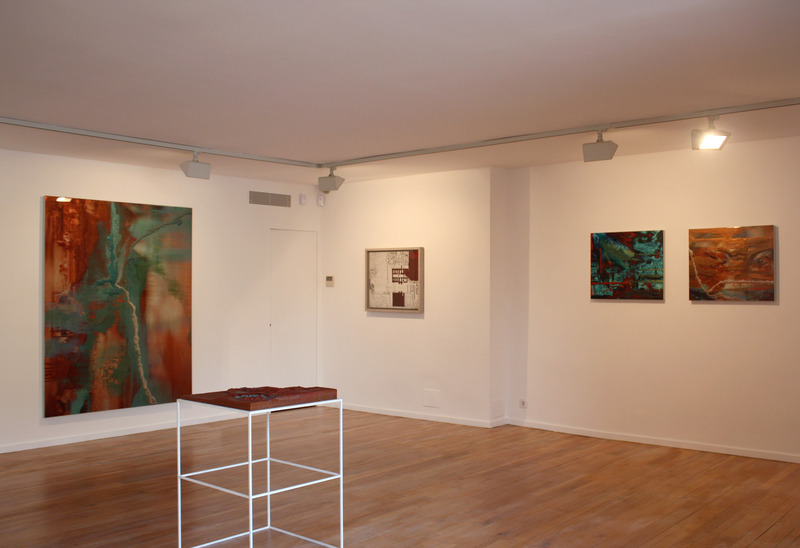 “Beyond Abstraction”, In Situ Galerie, Aalst. Belgium. “Pigmente”, Eugene Lendl Galerie Grasz .Austria. “Descoberta de la collecció”, MACBA. Barcelona. In Situ te gast in De Watertoren. Vlissingen, Holland. “Nuevas Abstracciones”, Palacio de Velázquez. Madrid. “Abstrakte Malerei” .Kunsthalle Bielefeld. Germany. Essencies , Col-leccio Ernesto Ventos .Palau de La Virreina, Barcelona.